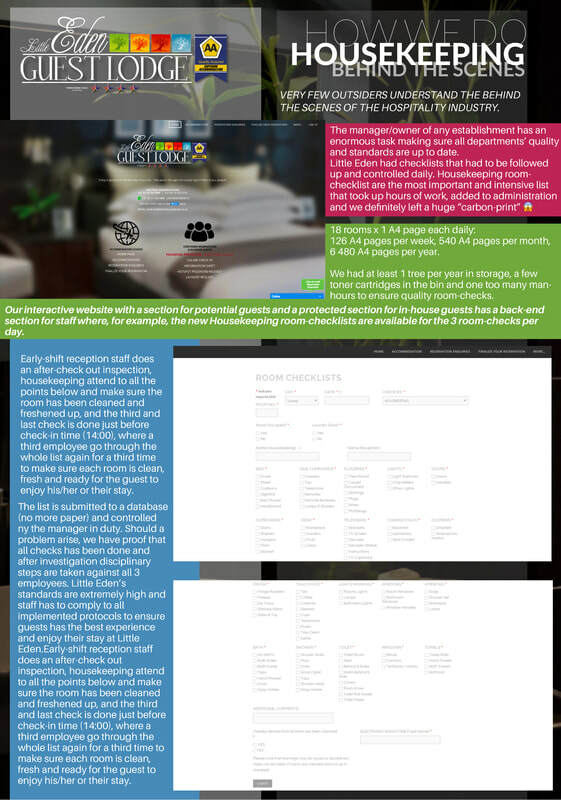 A big thanks to all our wonderful guest reviews. The whole team dedicate their time to meet every guest's expectations, and we're happy to hear we hit the mark for 99% of our visitors. Hope to see you soon again. The Weather had a big grin, playing a game whilst Andre and the staff tried to set up tables for the buffet breakfast this morning. Everyone had to set tables and rush everything inside; twice. But at the end of the day the weather said “Im done now, set your tables” ? "GOING GREEN": Housekeeping checklists - from paper to online forms. Verification; first time I make checklists public for regular and potential guests in order for them to see how thorough our dedicated Housekeeping group are every day and the administration of protocol. "It's a job and a half!" 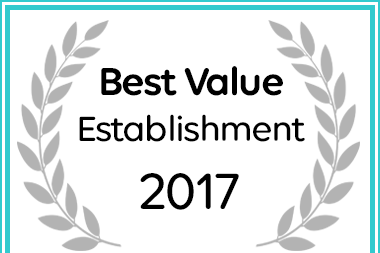 Afristay has named Little Eden Guest Lodge in Vanderbijlpark a Best Value Establishment. A reminder to make a dinner reservation before 14:00 on the day you would like to enjoy one of our traditional meals, prepared by our executive chefs. 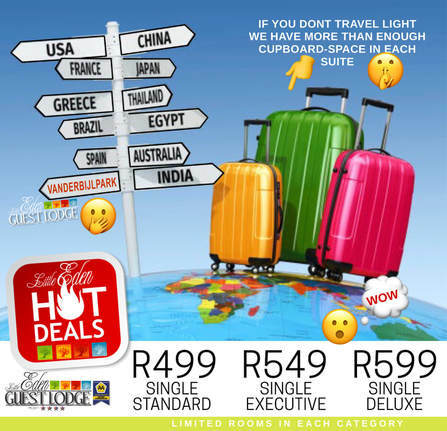 Little Eden Guest Lodge, established in 2005 is situated in the South Eastern suburbs of Vanderbijlpark in the Vaal Triangle. Feel at home in one of our luxury suites, especially designed to create a warm and homely atmosphere. Choose from either a standard, executive or honeymoon suite. Each suite is furnished with exclusive decor and is standard with en-suite bathroom, television, DSTV (your own decoder), Air-conditioning as well as tea and coffee facilities. Our well trained and friendly staff is always available to ensure that you have a memorable stay. At Little Eden we are passionate about quality, that is why we have our finest chefs prepare all our meals. You can enjoy a delicious breakfast or dinner in our cosy dining room or in the garden. 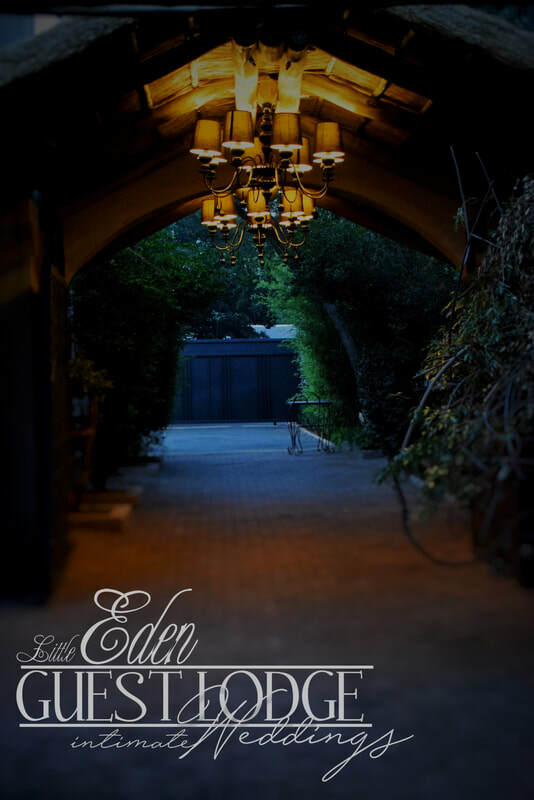 Whether you're having some quality time away with your partner, on a business trip or just spending the night; Little Eden Guest Lodge will cater to your every need. 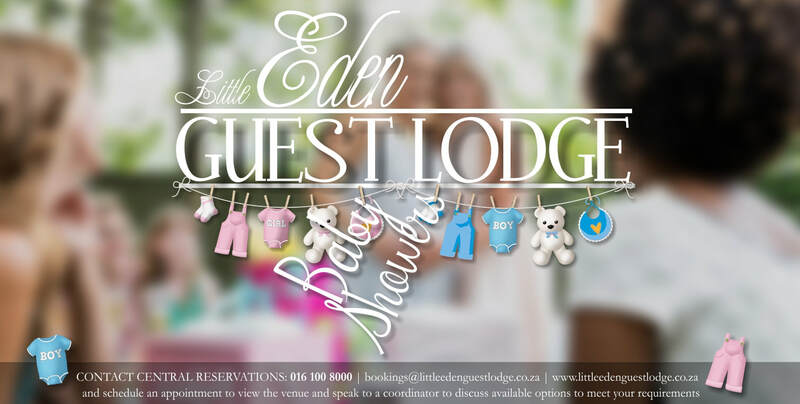 Little Eden Guest Lodge is still at it's best, even better! In the first week of May 2015 we were on our way to the other house in Plettenbergbay where I was busy with a Design Project. I greeted all the staff knowing that I'll see them all in a couple of weeks. Tragedy struck on Sunday, the 17th where a freak wave nearly cost us our lives. I'm left paralyzed and Andre had minor injuries. Subscribe to the PARALYZED JOURNEY channel to enjoy daily VLOGS of life in a wheelchair and managing Little Eden Guest Lodge at the same time.